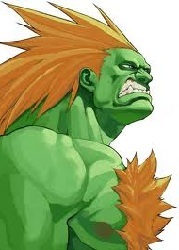 Blanka`s fighting style was also one of the more original ones, for a long time, he was the only one with the “high attack, high speed, low defence” stats, and with the electrifying move as a means of defence and a variety of angled rolling attacks best used as punishing attacks, he did take some time and practice to get used to and use effectively, but once you did, he was a force to be reckoned with. 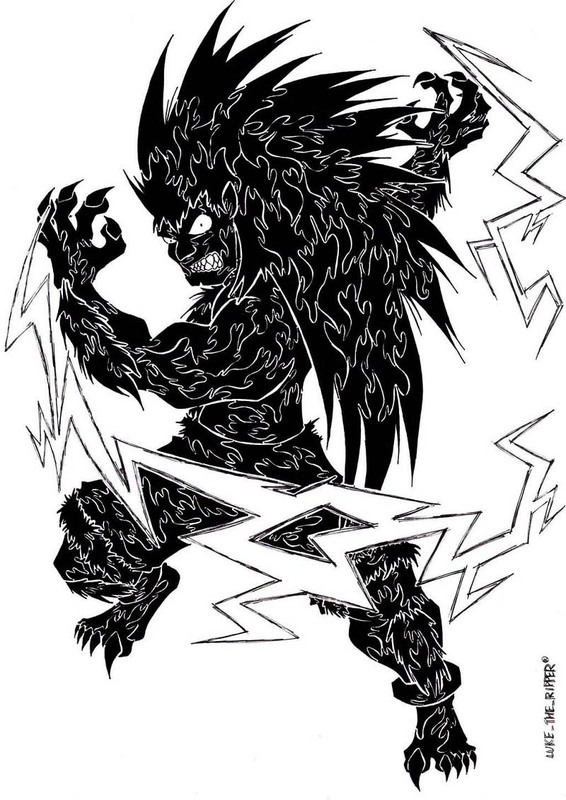 “Blanka was one of the first characters I ever played in the good ol’ SF2, and over time, he became my strongest main, so for the SF Tribute project he was an all to obvious choice. 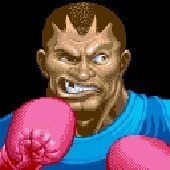 Never heard of Street Fighter II? 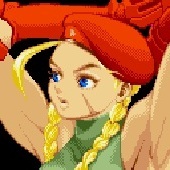 I hadn’t before the first time I sat down in front of it and picked up that SNES controller, picking the fighter of my taste, D-stick stepping to the green beast with orange hair. Yes, there need to be a relation to each and every Street Fighter character, and hmmpf., Blanka was the one that took my virginity. It was Electric! 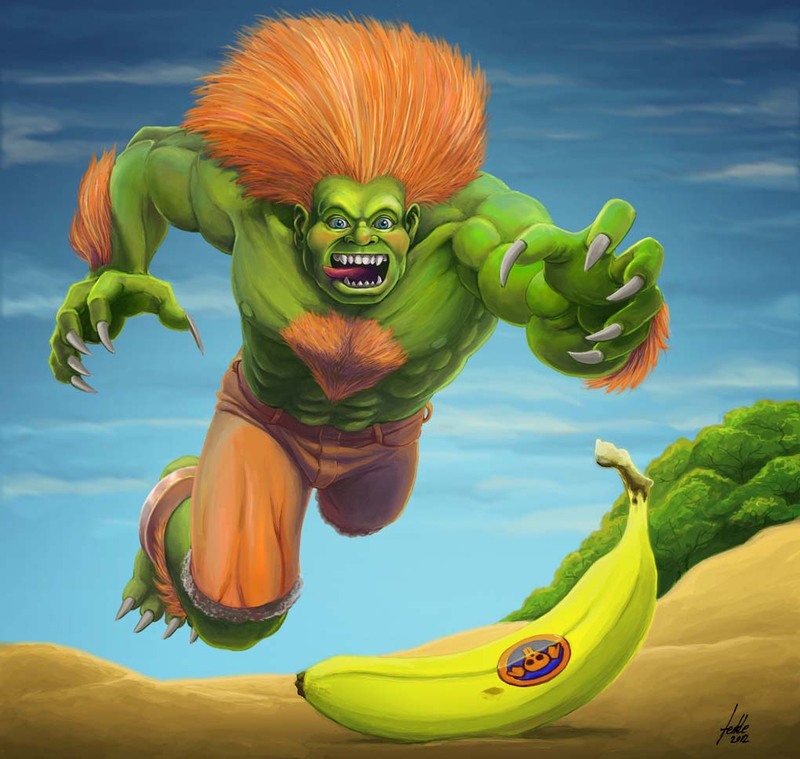 When spawning ideas for this piece I didn’t have much of the early Beast in mind but wanted to play around with the vegetarian Blanka from later games (pineapples and so on, you know..) and went almost right away with the idea of him leaping for a tasty banana. When I had a decent composition in mind I made a detailed sketch of him and the banana and put the sketch on my lightbox and inked the lines ready for a scan into Photoshop and some colour jobs(80-90% of the work was in Photoshop. The sketch and lineart took about 1-1½hours).